2009 was a year with great blessing from the Lord as well as renewed relationship with Him. We saw some of our most intimate prayer times and what was described as "the best praise & worship ever". One of our greatest blessing for the year was the growth of relationship between Beit Yeshua and several area Messianic & Jewish Roots Ministries, including Vision For Israel, Highway to Zion, and Beit Shofarot. 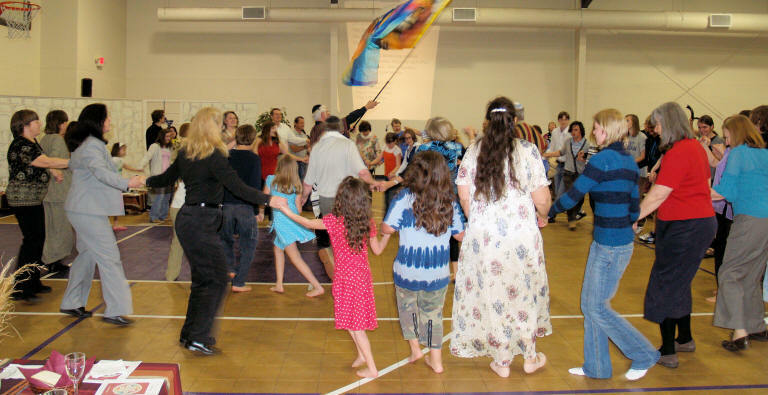 I'm appreciative to those of you who stop by the Beit Yeshua & Machol Dance Ministry website to learn about the festivals, look at the photos, learn about upcoming events & activities, etc. I always think it's interesting to look back on the year at which of the pages of the website have been accessed more frequently. Below is a list of the Top 30 pages that have been accessed the most. 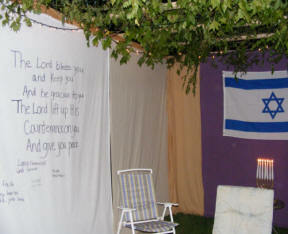 The Sukkot page was accessed 1200 times. 5. Dance Scriptures - What the Word has to say about dance. 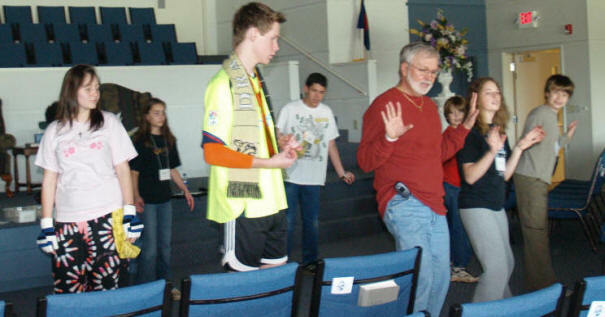 Is dance scriptural? 30. Israel - What does Scripture say about Israel and our relationship to her? 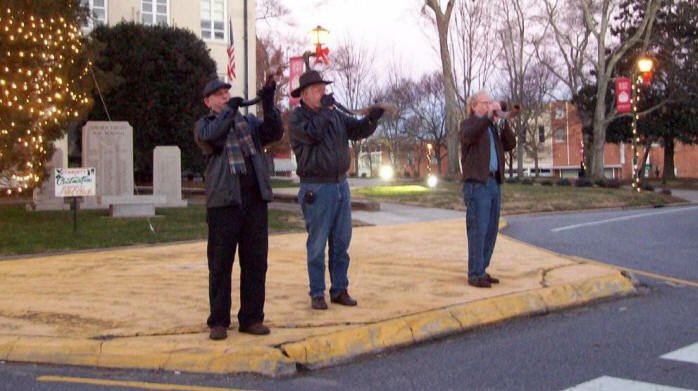 At 7:00 AM on January 1st, 2009, in 19 degree weather, Chuck, Doug & Paul took their shofarot and headed for the main square in downtown Lincolnton to declare God's authority over the city. The men wanted to make a proclamation for the year that Yahweh is Lord of the city of Lincolnton. From there they went to Covenant Bible Church. 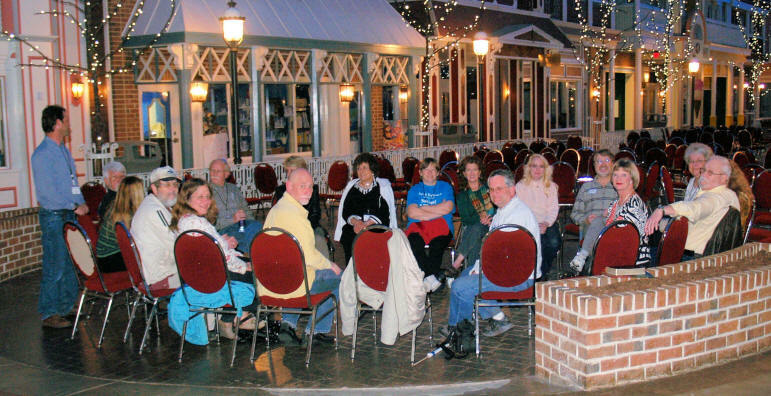 The Covenant Jewish-Roots Group started meeting in August 2001 with the first meeting being at Curtis & Carolyn's home in Catawba. Over the years the group grew, evolved and changed. In 2003 the group went by the name "Gates of Praise" when we were meeting in the Lilge's home. 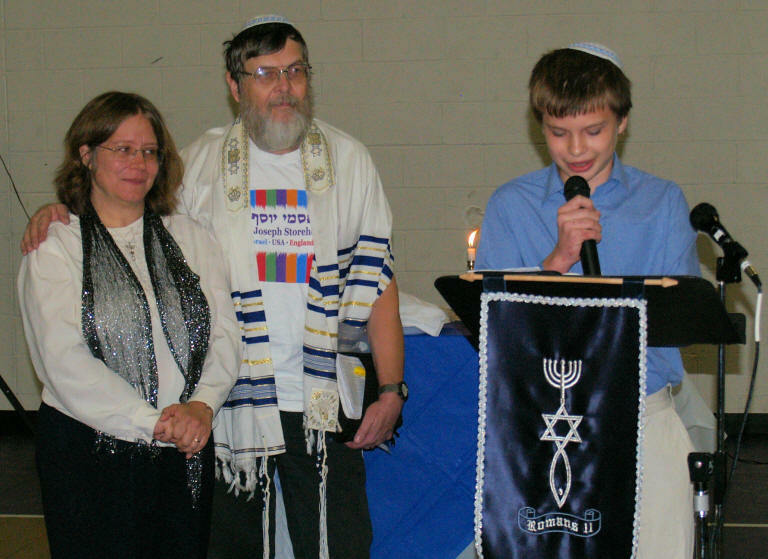 For the next few years the group was simply referred to as the Lincolnton Jewish Roots Group or the Shabbat Group. Toward the end of 2008 we decided it was time to pick a name. Several names were suggested and Beit Yeshua was the one that was eventually selected. Yeshua was the Hebrew name that was given to Jesus at His birth. Beit Yeshua literally means, "House of Salvation". 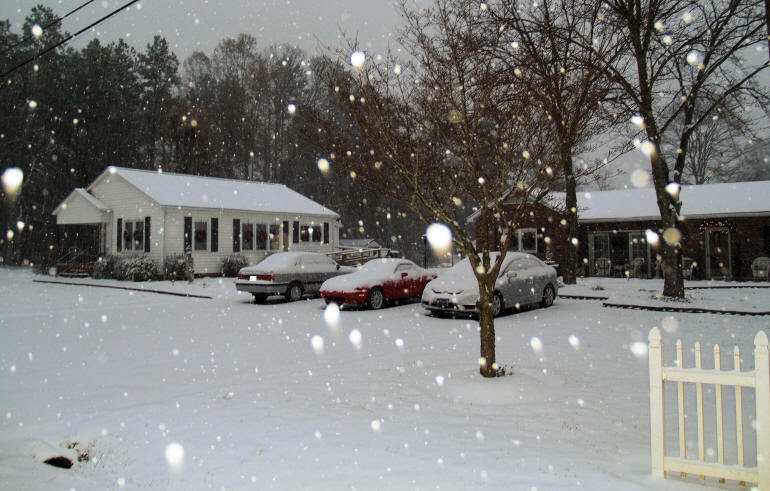 It was decided that all of Beit Yeshua's Festival meetings during 2009 would be celebrated in the Family Life Center of Covenant Bible Church in Lincolnton and that weekly Erev Shabbat meetings would meet in either Doug & Lynda's home or Chuck & Janice's home. 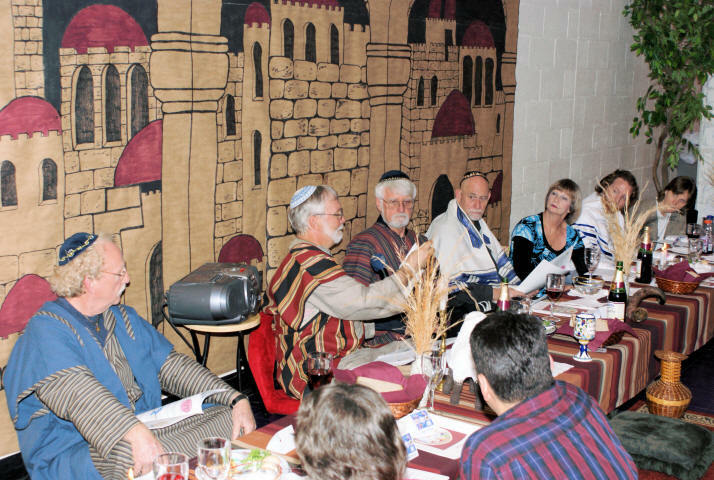 We gathered on Friday, March 6th, to celebrate the Biblical Feast of Purim - also called the Feast of Esther. The shpiel (Yiddish for "play") for this year was entitled PURIM WARS and was a science-fiction parody based on the book of Esther, but with a STAR WARS theme. It was loads of fun and reminded us of God's goodness to us all. 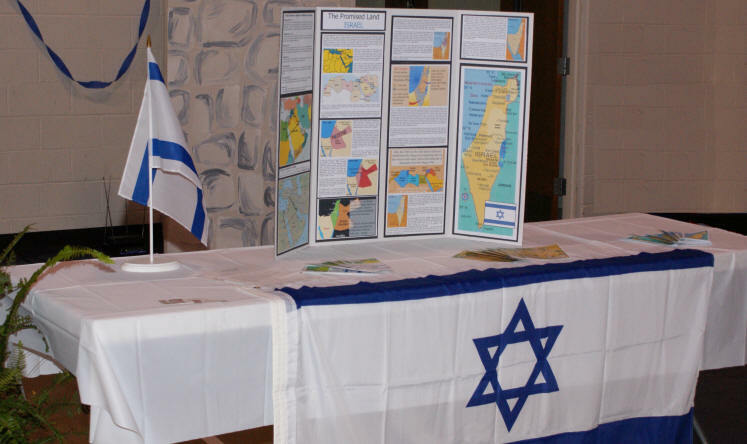 The third annual VISION FOR ISRAEL Conference was held March 13 - 14, 2009 at Heritage International Ministries in Fort Mill, South Carolina. Barry & Batya Segal, founders of the Humanitarian Aid Organization based in Jerusalem, were in town for an evening to Praise, Worship and Teaching. 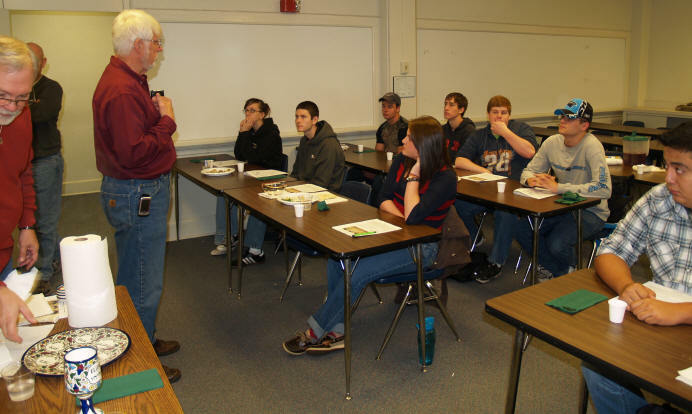 Speakers for the 2-Day Conference included Barry Segal, Dr. Michael Brown and Scott Volk. Barry gave an update on the ministry and recent war in Gaza. It was a WONDERFUL weekend. The Catawba County Home School Co-Op meets at Gateway Baptist Church on Sandy Ford Road in Newton, NC, once a week for E-Day. 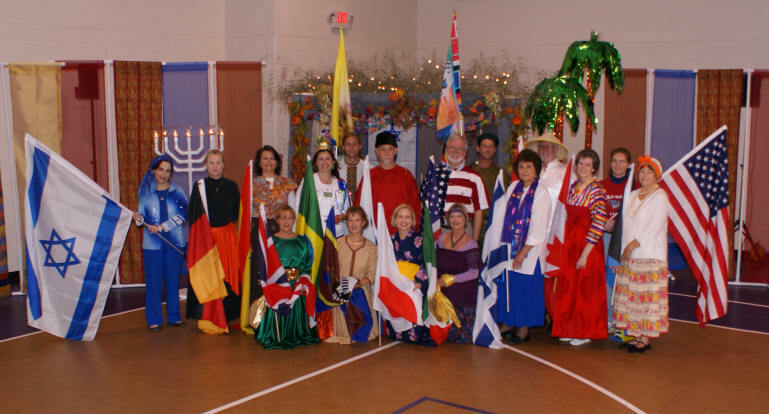 As part of a Biblical Festivals Class, Curtis was invited to teach Israeli Folk Dance to a group of the students on Friday, April 3, 2009. Beit Yeshua gathered for our 8th annual Pesach Seder on Friday, April 10th, 2009, in the Family Life Center of Covenant Bible Church in Lincolnton, NC. We had expected about 150 registered for the Seder this year but attendance reached 200. We were excited about sharing the experience with so many. 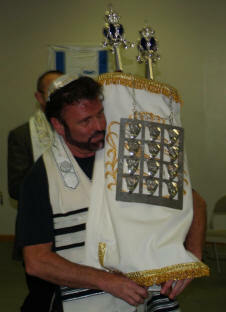 Beit Shofarot, translated "Tent of Shofars", is a Messianic Congregation, led by Rabbi Yossi, that meets in Salisbury and Mt. 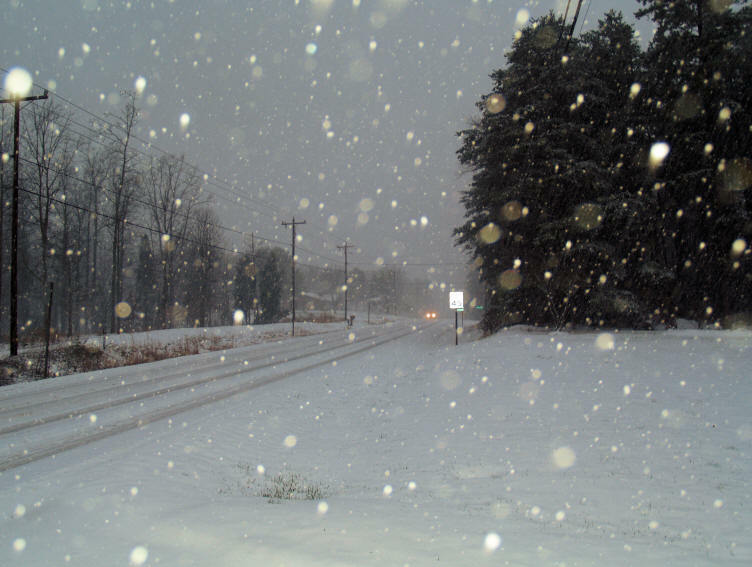 Holly, NC. 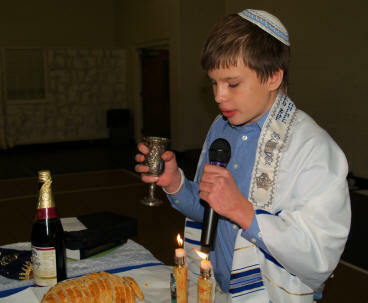 Beit Shofarot had their 2nd Seder for 2009 at Salisbury Christian Fellowship on Saturday, April 11th. 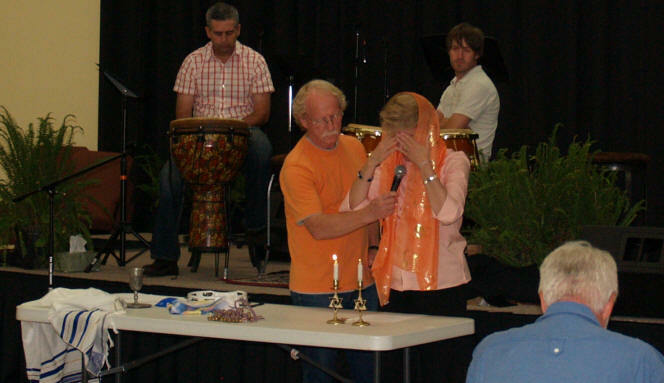 Curtis & Carolyn were pleased to have the opportunity to join this sister congregation in this 2nd Seder of 2009. 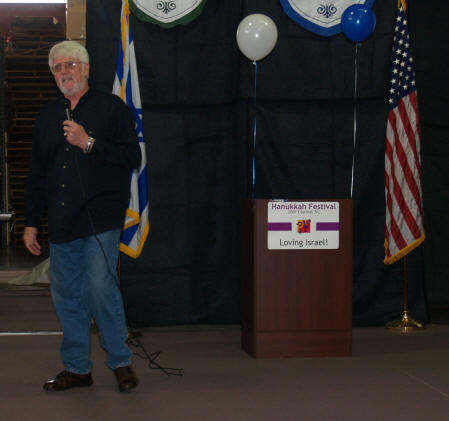 Beit Yeshua gathered on Friday, April 24, 2009 to celebrate Israel's Independence Day. Israel became a re-born nation on May 14, 1948 - corresponding with 05 Iyar 5708 on the Jewish Calendar. The 5th of Iyar corresponded with April 29th on the Gregorian Calendar in 2009. Holocaust Memorial Day was Tuesday, April 21st, so we had planned a large exhibit in remembrance of the 6 million Jews who died in that tragedy of world history. 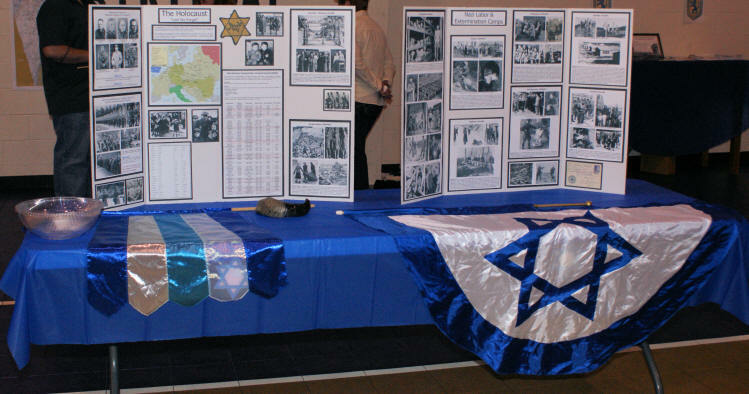 Christi created a display that included slides from her 2008 European trip to the concentration camps of Poland and Germany as well as numerous books, photos and other publications. 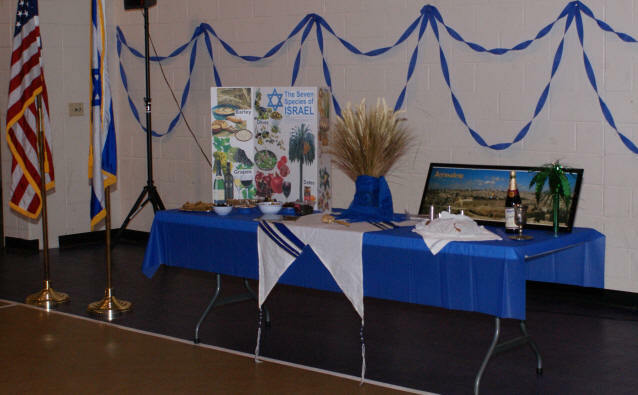 As part of the celebration, guests were encouraged to bring snacks that included the 7-Species of Food that grow in Israel. A display was created to teach guest what those 7 species are: (1) Wheat, (2) Barley, (3) Olives, (4) Grapes, (5) Pomegranates, (6) Figs, and (7) Dates. 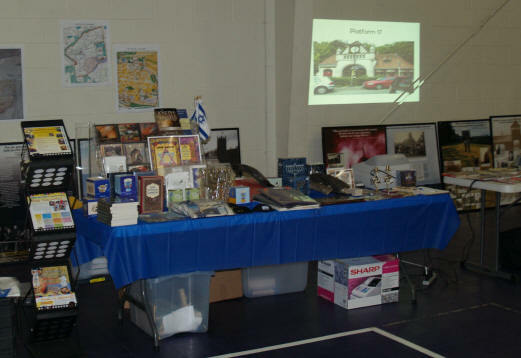 "Greetings From Jerusalem", in Charlotte, provided a product table with Bibles, books, CDs, DVDs, shofars, tallits, menorahs, greeting cards, Shabbat Candles, T-shirts and other merchandise. All proceed from the Greetings From Jerusalem product table went to VISION FOR Israel, the humanitarian-aid organization based in Jerusalem. 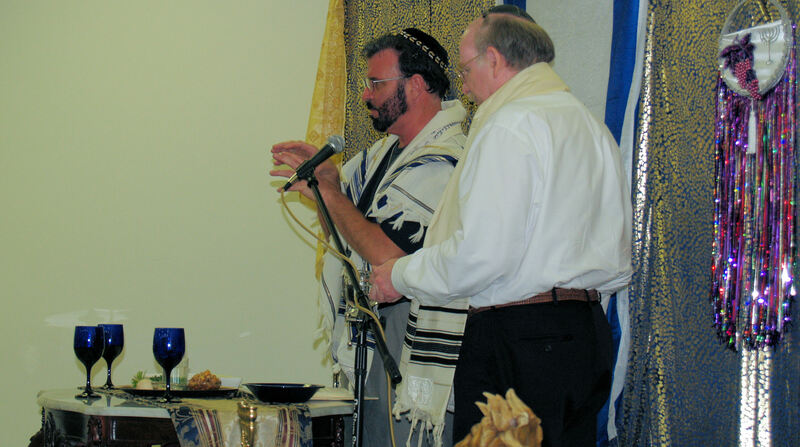 An offering was also received that evening that went to Vision For Israel. 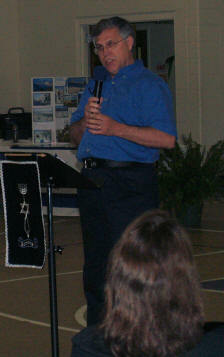 Steve Martin, US Director of Vision For Israel, was our guest speaker. 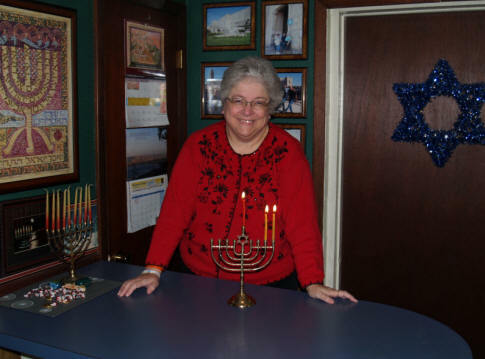 When we celebrated Israel's 60th Birthday in 2008, Carolyn suggested that we Adopt-A-City for prayer over the next year. We were all pleasantly surprised how much God taught us over the year about our various cities in Israel and the people living there. For 2009, Travel-Style Brochures for about 50 cities were created as well as a map locating all of the cities. A separate wall chart listed the cities, told where they were located, and listed facts about the city. 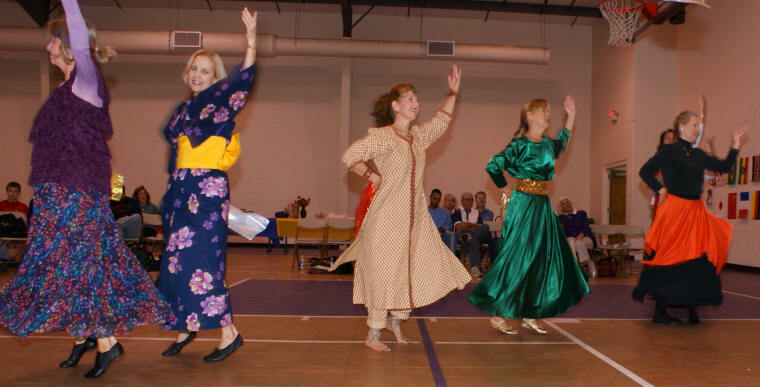 The Machol Dancers provided a dance performance to the song "Kadosh (Holy)" by Paul Wilbur. The Salisbury Messianic Group, Beit Shofarot, invited Dutch Holocaust survivor, Frieda Roos Van Hessen, to share her testimony as part of their observance of Holocaust Memorial Day. 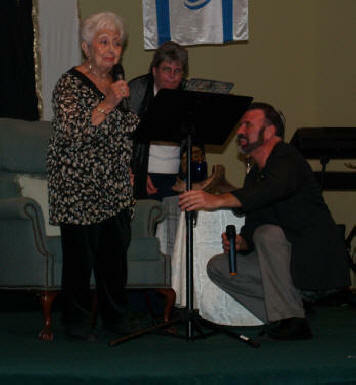 94-year-old Frieda was a Jewish opera and concert singer prior to World War II. 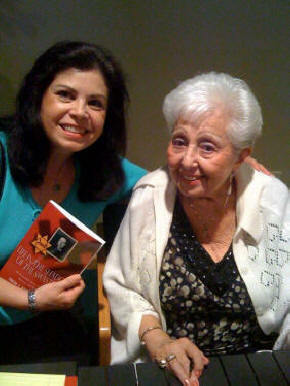 Frieda survived Nazi occupation of Holland even though many friends and family members were lost to Nazi annihilation. 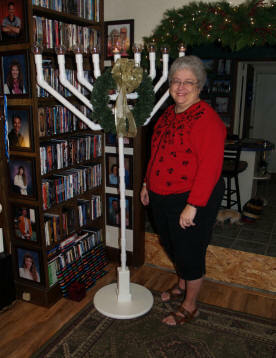 Beit Yeshua had 20 in attendance to hear Frieda speak and fellowship with Beit Shofarot. 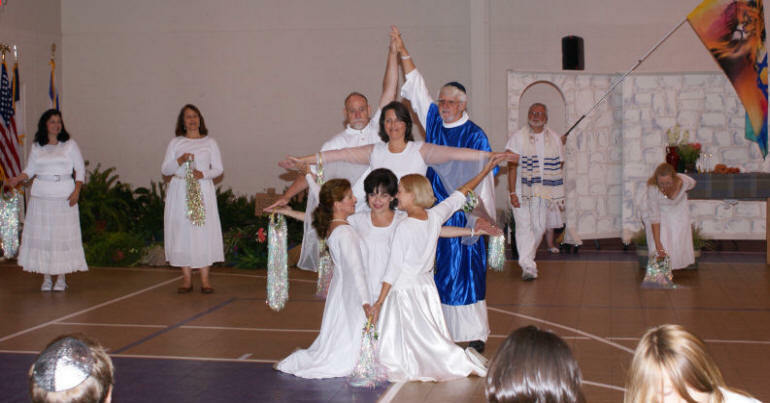 So, What does STAR TREK have to do with Israeli Folk Dance and the Jewish Roots of our Christian Faith? Absolutely nothing! 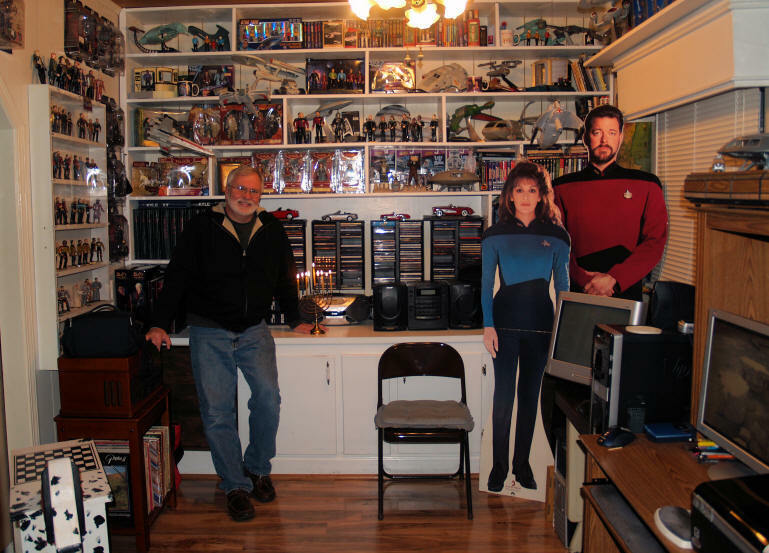 It just so turns out that many of our Jewish Roots group happen to be STAR TREK fans and we take every opportunity for a "road trip" and an opportunity to fellowship. Doug, Paul, Chuck & Curtis were invited by Freedom Church Pastor, Eric Reel, to do a 6-week teaching on the Jewish Roots of our Christian Faith. Items to be covered during the 6 weeks included: (1) What Scripture has to say about Israel, (2) The Messianic Church - a look at our lost inheritance, (3) An over-all look at the Biblical Festivals with an emphasis on Shabbat, (4) Pesach - Why observe it - a mini Seder, (5) The Fall Festivals and their prophetic picture, and (6) Jewish-Roots Extras such as Shofars, Tallits, Tzitzits and other "Jewish Stuff"
We gathered in the Family Life Center of Covenant Bible Church on Friday, May 29, 2009, to celebrate the Biblical Festival of Shavuot/Pentecost. 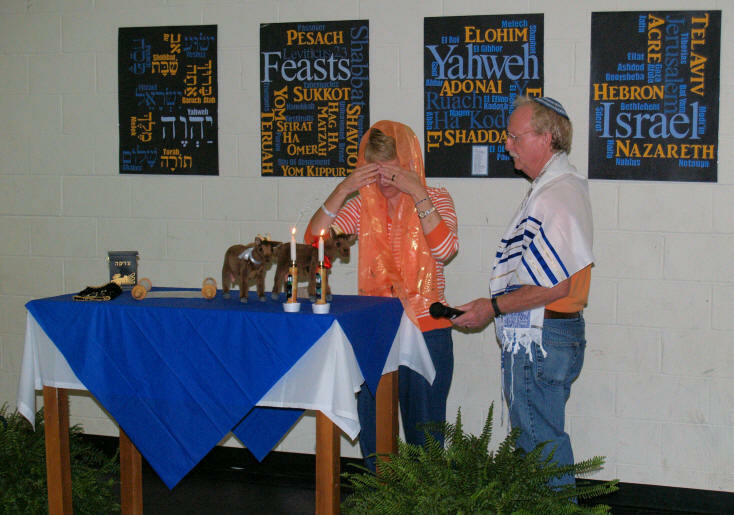 As part of our celebration of Shavuot, we performed a "spontaneous" play based on the Book of Ruth, where performers were called "spontaneously" from the attendees to perform the various parts from the story. Sometimes it's a little challenging to keep the story fresh for those who have seen the play year-after-year. This year the theme of "funny hats" was used to add a little humor to the story. 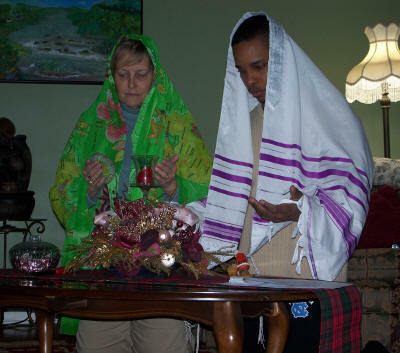 Only the characters of Ruth & Boaz kept traditions Jewish costumes - Ruth with a scarf and Boaz with a keepa & tallit. The 2009 Summer Aleph-Bet Class was a 5-week workshop that meet at Curtis & Carolyn's home in Catawba, NC, from July 17 to September 11, 2009. There was no cost for the class, but a 5 session commitment was requested. 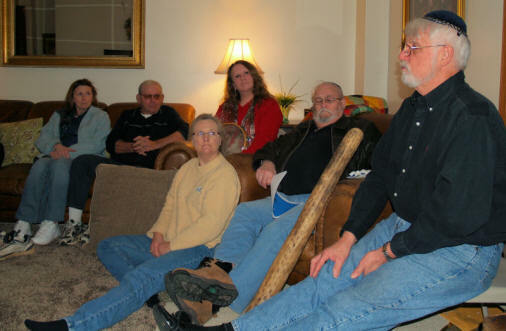 There were 8 who committed to the 5-week-workshop. 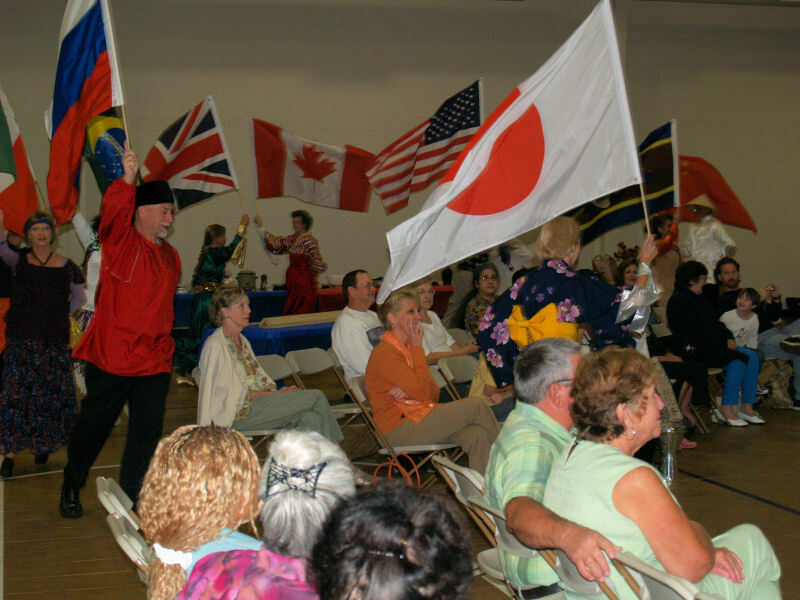 It's been several years since we've done any performance dance, but we felt encouraged of the Lord in 2009 to add performances dances as part of our Festival Celebrations. 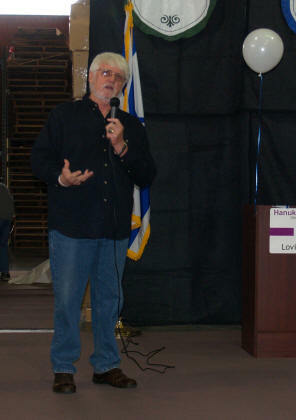 "Kadosh" and "Peace of Jerusalem" were performed at our Evening Honoring Israel Celebration. 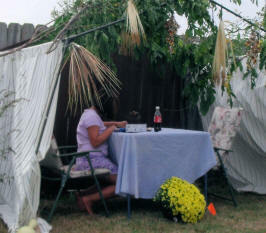 "A Resting Place" was performed at Rosh Hashanah and "Latter Days" was performed at Sukkot. 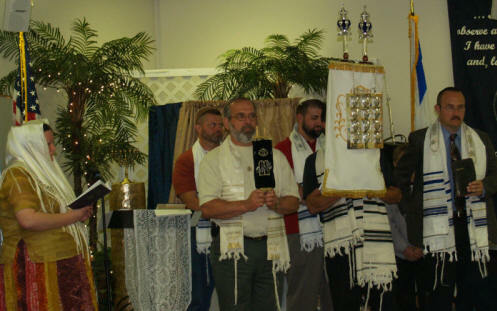 Beit Yeshua gathered on Friday, September 18, 2009, to celebrate the Biblical Festival of Yom Teruah, which is also called Rosh Hashanah (The Head of the Year). We were joined by 100 of our friends from Vision For Israel, Highway to Zion, Beit Shofarot, Christian Friends of Israel, Christ Alive Church, as well as a variety of other churches and congregations. Guests were encouraged to wear white, symbolic of the marriage relationship we have with Yeshua, a theme of this particular festival. One of the highlights of the evening was the drama on "The Ancient Jewish Wedding" and its parallels to our own marriage relationship with Yeshua. The evening concluded with a time of repentance and self-examination as we observed Communion. 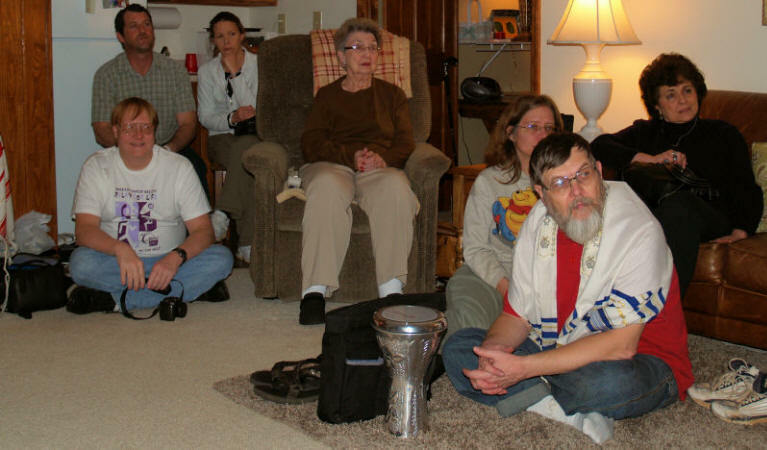 Beit Yeshua gathered on Friday, September 25th, to observe Yom Kippur corporately with a time of extended prayer. The evening included a time of (1) Individual Repentance and Prayer, (2) Prayer for Unity & Repentance in the Church, (3) Prayer for the USA, (4) Prayer for Israel & the Jewish People, and (5) Prayer for the Nations. The feast is considered the most solemn festival of the year, but those of us who know Yeshua as Ha'Mashiach have reason to celebrate. Our evening ended with a time of exuberant praise, worship and dance. 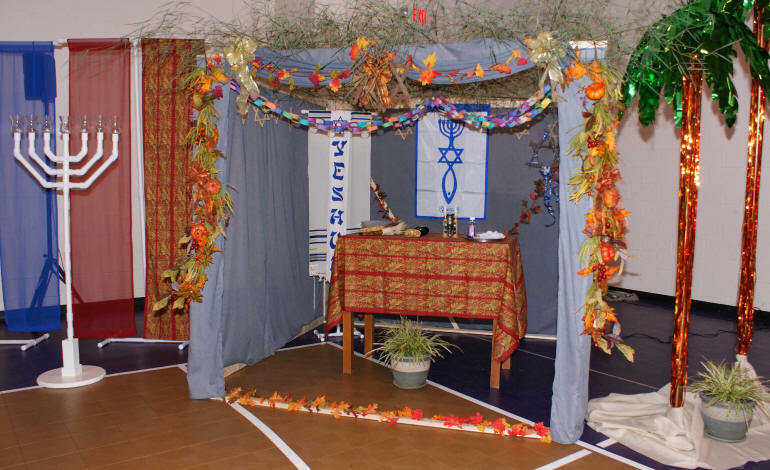 Beit Yeshua gathered on Friday, October 2nd, to celebrate the feast of Sukkot corporately in the Family Life Center of Covenant Bible Church. 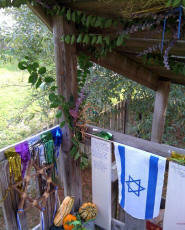 The men constructed a sukkah for the evening. 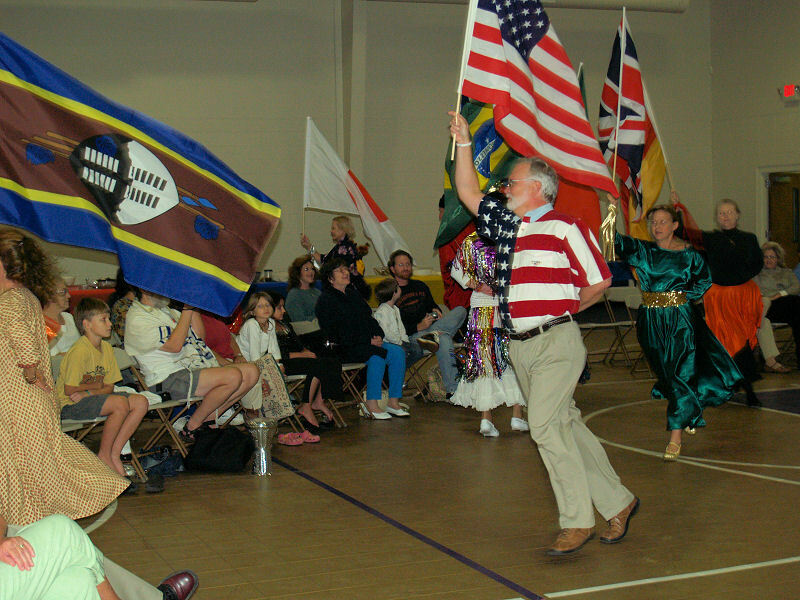 Flags and other festive decorations were added to the Family Life Center. I, personally, think our times of praise & worship before the Lord are awesome, but this night was extraordinary. 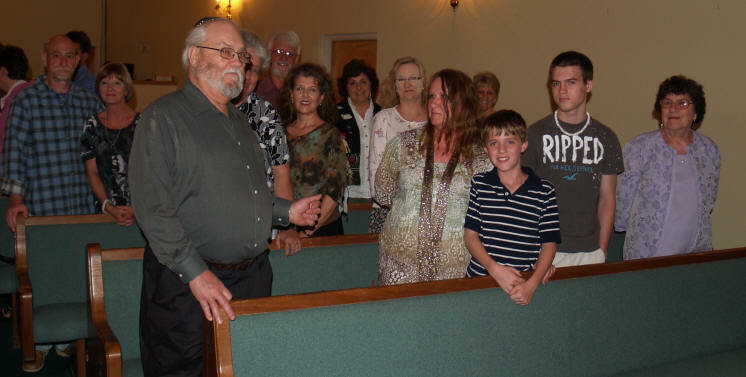 Ha'Shem indeed was in our midst as "everyone" joined in to bless the Lord. The performance dance "Latter Days" speaks of the nations coming to Jerusalem yearly to keep the Feast of Sukkot during the Reign of Messiah Yeshua. 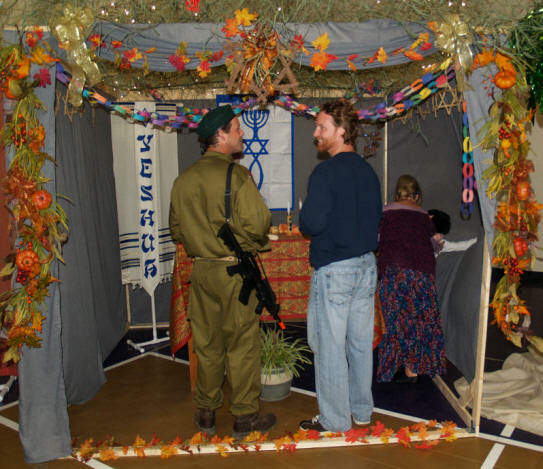 Several families associated with Beit Yeshua constructed their own sukkah at their home in order to keep the mitzvah that says we are to "dwell in sukkot" during the festival. 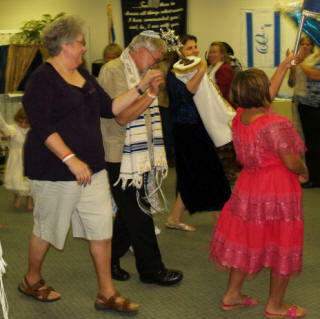 Curtis & Carolyn, Paul & Susan, and Doug & Iline joined Beit Shofarot in Salisbury, NC, for Simchat Torah on Saturday, October 10, 2009. 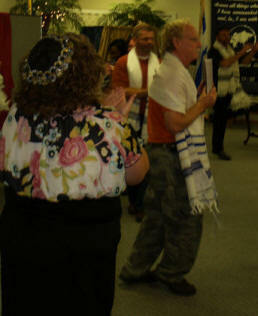 What a wonderful time all had rejoicing and "dancing" with the Torah - the written word of YHWH. Pastor Eric Reel of Freedom Church in Lincolnton invited us to come to the "Old Testament" class he teaches at the Lincolnton Campus of Gaston College and share a Pesach (Passover) Seder with his students. It was exiting for us to have the opportunity to share information about this festival of the Lord with this group of college students. Doug, Paul, Chuck and Curtis purchased the materials, pulled our Seder supplies out of storage and prepared a mini-Haggadah for the 50-minute class of 14 students. 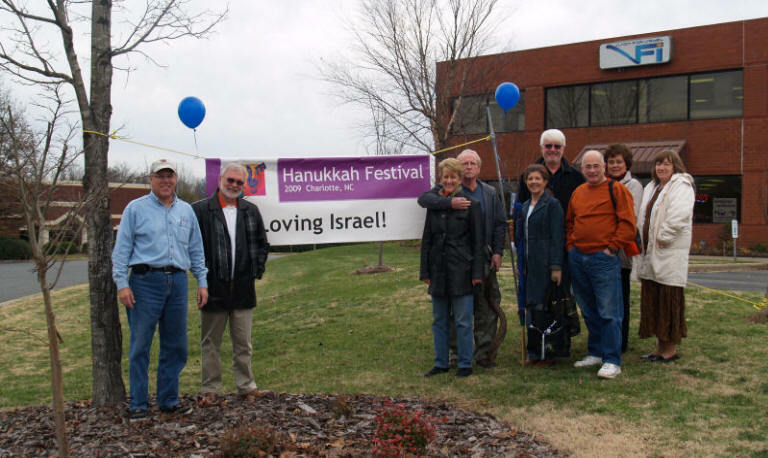 Vision For Israel began planning for their 1st Hanukkah Celebration to take place on Saturday, December 12, 2009, at their Vision For Israel location in Charlotte, NC, with seven Messianic & Jewish Roots ministries planning to be involved. On Tuesday, October 20th, leadership from Vision For Israel, Highway to Zion and Beit Yeshua met for lunch and a planning meeting for the celebration. Planned activities for the event: (1) a Parade through the neighborhood with flags & banners, (2) Games for the kids (including the dreidel game), (3) Israeli Folk Dance classes & performance, (4) Shofar blowing instructions, (5) Food, (6) Sales on merchandise in the book store, (7) the Hanukkah story, (8) the lighting of the 1st candle on the Hanukkah menorah, (9) Barry & Batya were also going to be in town for the celebration. 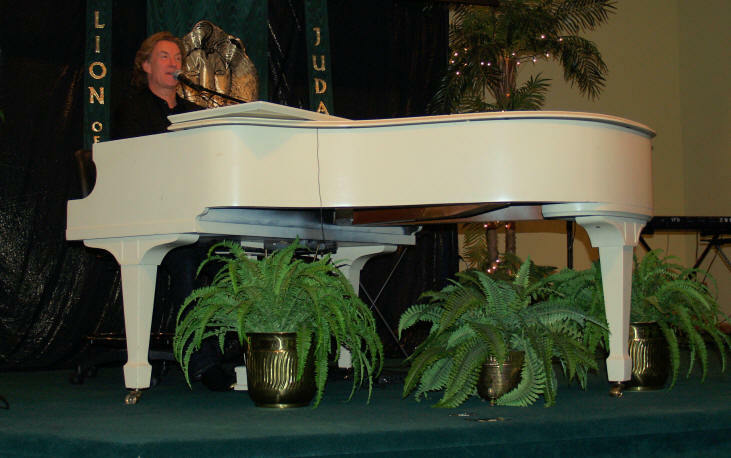 On Saturday, October 31, 2009, Messianic singer Marty Goetz was in concert at Beit Shofarot Messianic Congregation in Salisbury, NC. Beit Yeshua had 21 to attend the evening of praise, worship and dance. 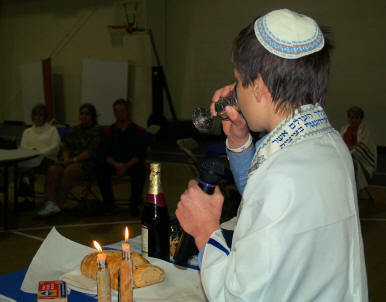 Beit Yeshua gathered in the Family Life Center of Covenant Bible Church on Friday evening, November 20, 2009 to observe Sam's Bar Mitzvah. This was also Sam's 13th birthday. 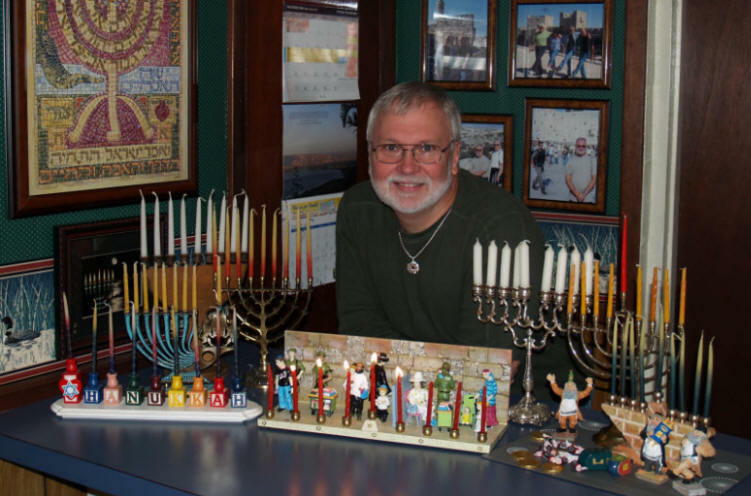 The Charlotte offices of Vision For Israel planned their first annual Hanukkah Celebration for Saturday, December 12, 2009 from Noon to 5:00 PM. 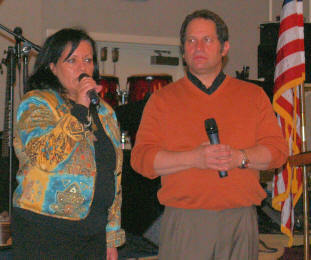 Vision For Israel founders, Barry & Batya Segal, flew in to join the group in celebrating the Festival of Lights. 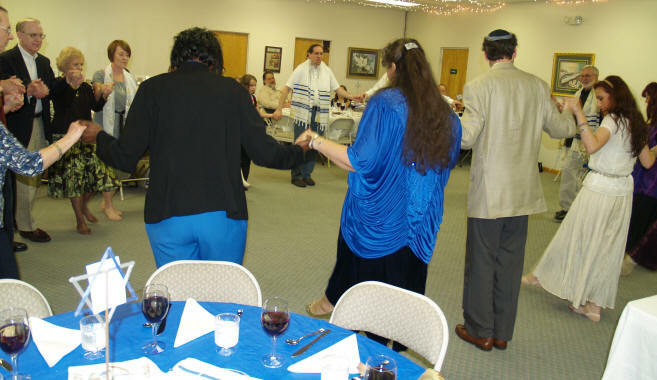 Several other area Messianic & Jewish Roots were invited to join in the planning and celebrating, including Beit Yeshua (from Lincolnton, NC). Other activities for the afternoon included Israeli Folk Dance, shofar blowing lessons, a mini-sermon by Dr. Peter Wyns, a parade through the community to show our support and solidarity with Israel, and a time of sharing by Vision For Israel Founders, Barry & Batya Segal. Beit Yeshua planned their Hanukkah Celebration for Friday, December 18th, 2009, but winter weather, including snow and sleet, kept the group from coming together this year. 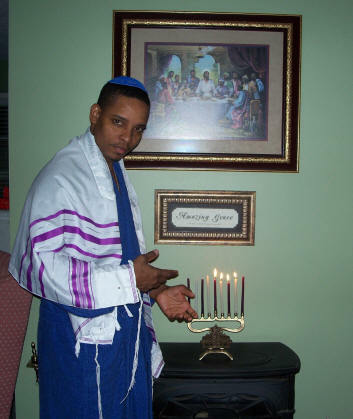 It's always fun to share our own personal family Hanukkah photos with you. Carolyn & I made our first trip to Israel in 2005. While we were staying at the Ramat Raquel Hotel in Jerusalem, I was approached by a woman from Texas who had been traveling with us on the Vision For Israel tour the previous week. She told me that she had a "word" for me from the Lord and asked if she could share it. The word she shared was that "God would be opening a door to me in the area of 'writing' - I'd be writing to bring Him glory". 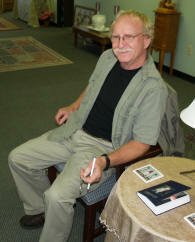 I had never considered writing in any form - as an occupation - or even as a hobby. I received her word graciously, but stored it on the shelf. Just recently however, four years later, the Lord reminded me of that word in 2005 and reminded me how He had led me to create a variety of Biblical themed plays for use at Beit Yeshua that have since been used around the world. What the Lord touches, He blesses. The plays were made available to the public "for free usage" over the Internet and I have had a lot of correspondence and usage of the plays as a result. What you don't usually get to see is the wonderful correspondence I get from those who use the prays, so I wanted to share some of what I've received over the last 18 months with you. "Rabbi loved the Purim play - we will do it this week"
"I think you have a wonderful Purim play & thank you for making it available to the public. 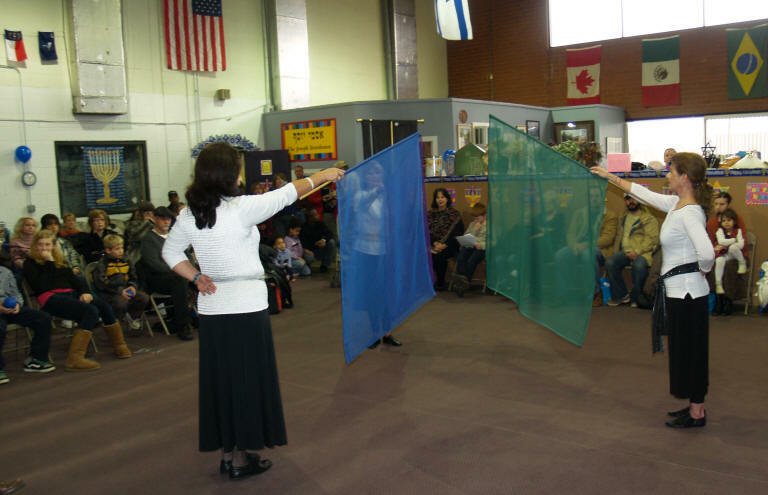 We will use it for our Purim Shpiel in Iraq"
"What a wonderful and fun play about Purim. I'm so excited to be using this for a social gathering"
"I found your play and would like to use it with my group as we are now studying the book of Ruth. 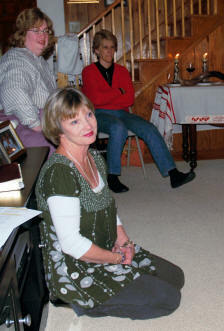 It looks like a great resource"
"We are looking forward to doing the Hanukkah play at our Hanukkah party Sunday night. 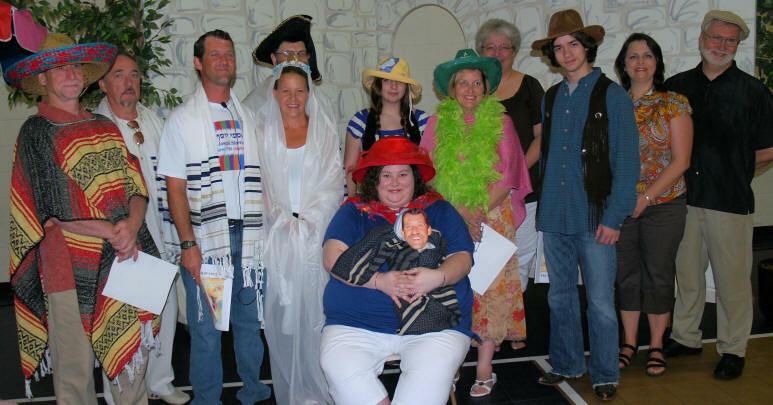 We all had so much fun with the Purim play - everyone is looking forward to this one.